Navigating the rum category can be difficult for the uninitiated. Like wine, rum often has distinct regional characteristics and style, which can make it difficult to compare two rums that look relatively similar. The rum picture gets even muddier when you introduce multi-island blends into the mix. Denizen Rum is one of a number of rum companies that doesn’t make their own rum, instead they buy their rums from regional distilleries and then blend them. These blended “merchant” rums aren’t inferior to the individually produced regional rums, and they can often offer unique marriages between island rums that are interesting in their own right. In 2012, Denizen launched their first blend, Denizen Aged White Rum, which brought together a fiery, funky Jamaican pot still rum and a light, sweet, and affable Trinidad rum. The combination of rums in Denizen Aged White Rum worked extremely well and the result was a flavorful and very mixable rum. Building on the success of their white rum, Denizen Rum is now expanding their portfolio with an aged offering. Denizen Merchant’s Reserve 8 Year Old Rum is a blend of a medium-bodied “Plummer style” Jamaican rum (made from molasses, cane juice, syrup from sugar production, dunder, and skimmings from the previous rum production) with Rhum Grande Arome from Martinique. Martinique is famous for its production of Rhum Agricole, which is made from fresh pressed sugar cane. Rhum Grande Arome is considered an inferior style of Martinique Rhum, made from the leftover residue in the still after the distillation of Rhum Agricole (vinasse) and deeply fermented molasses. On its own Rhum Grande Arome may not be very desirable, but in a blend it has the ability to bring a highly aromatic character. It’s an interesting move for Denizen to pull from two fairly aromatic and funky styles of rum, considering their first effort was focused so much on attenuating those elements, but we suspect that Denizen had the popular Smith & Cross Jamaican Rum in its crosshairs when designing its Merchant’s Reserve. Smith & Cross is a high proof (57% ABV), bold and flavorful Jamaican rum that’s quite popular among craft bartenders, but it can often be a bit much for those who are unaccustomed to its funky style of rum. Denizen also pays homage to Trader Vic with this rum, who made his Mai Tais with a blend of Jamaican and Martinique rums. Denizen Merchant’s Reserve 8 Year Old Rum (43% ABV / 86 proof, $29.99) – dark amber in color, the nose on Denizen Merchant’s Reserve is extremely aromatic and does a great job of showcasing the dimensionality of a molasses-based rum. Deep, dark, rich molasses leaps out of the glass, backed by caramel, vanilla extract, brown sugar, dried apricot, roasted banana, and a dash of oak spice. There’s a lot going on in a nose that has nice depth and character without being overly assertive or unapproachable. The entry is much softer than the nose would suggest, leading with brown sugar, molasses, vanilla extract, and dried apricot. Although these flavors are traditionally sweet, they are presented more dry than lush. With so much going on in the nose, we expected more flavor from the get-go, but the entry comes off a little dull. As we head towards the midpalate, more of the flavors in the rum do slowly start to emerge, but waiting for them feels like getting stuck behind a slow car on an otherwise open road. Once they do arrive it’s a very nice blend of spice with black pepper, clove, nutmeg, and oak. The midpalate also takes on some strong acidity with the addition of burnt orange peel and fire-roasted pineapple. The finish is medium length and slightly dry with bit of heat that lingers on the palate long after the flavors of the spirit have gone. It’s clear from the structure and taste experience that Denizen was designed as a mixing rum, and it does much better when mixed. Denizen Merchant’s Reserve adds some really nice aromatics to the classic daiquiri while still allowing it to be balanced and clean. It performs fairly well in a Mai Tai, again lending really nice aromatics without making things too sweet. While not a perfect rum, Denizen has done a solid job of adding another tool to the arsenal for craft bartenders. Aromatically, Denizen Merchant’s Reserve is a home run, but we would have liked to seen more oomph in the entry and a better flavor bridge between the opening and the midpalate. Denizen has managed to create a much kindler, gentler alternative to Smith and Cross, but the very thing that’s great about Smith and Cross is its wild and fiery character, which magically transforms when you mix it with lime and sugar. 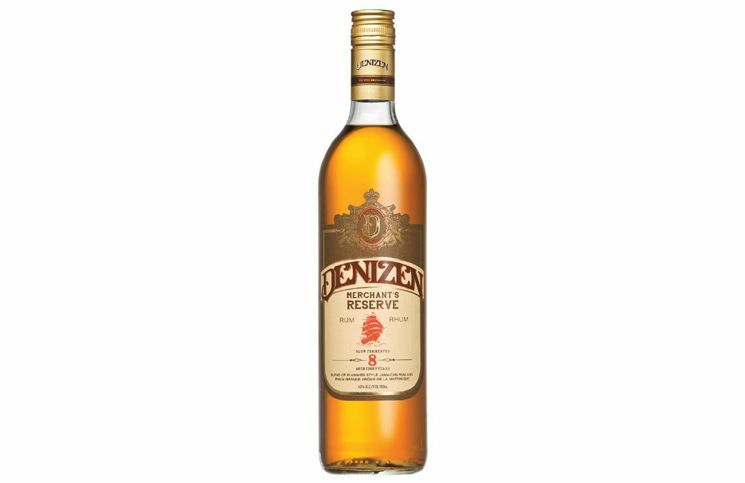 In many ways, drinking Denizen Merchant’s Reserve Rum is like watching your favorite movie on cable, only to have to suffer having all the bad words bleeped out. Sure, it’s still a good movie, but somehow it’s just not the same.